Computer and software platforms deliver comprehensive yet easy-to-use remote monitoring. Such systems are compact, flexible, and highly customizable in their programming, even as they transmit data over Wi-Fi, Ethernet, and other networks. Central monitoring software provides comprehensive management and interactive monitoring of motion and automation systems. Remote monitoring and diagnostic systems and services allow for the monitoring and analysis of performance, with faults and emergency events immediately displayed on-screen. Reports and the resulting analysis aids in future diagnostics. 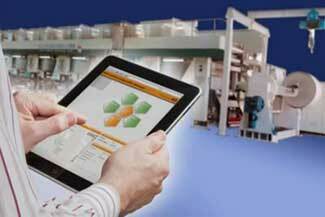 System monitoring can minimize downtime and ensure premium performance.